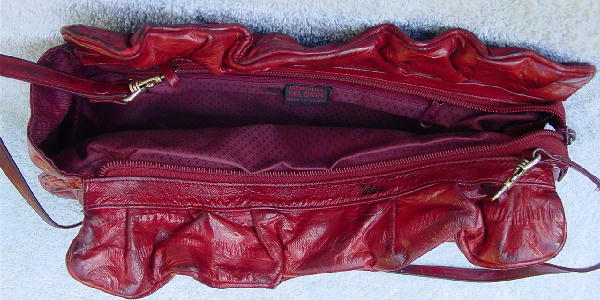 This vintage red eelskin purse has a detachable 33 1/4" long eelskin strap which attaches to the purse by two gold-tone hooks. It has a top side to side zipper opening, and the interior has a roomy zipper compartment. 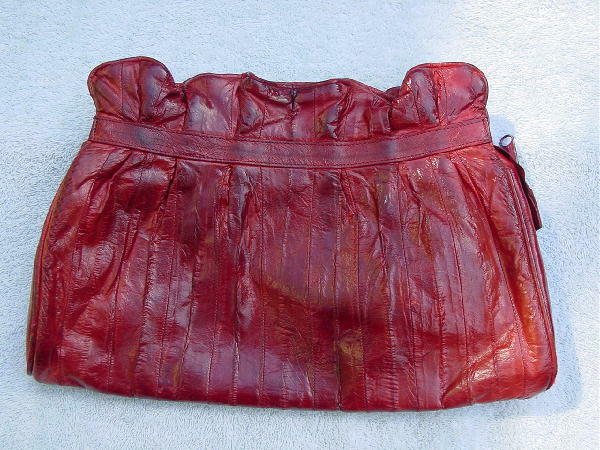 The red fabric lining has a tone-on-tone diamond shape pattern. 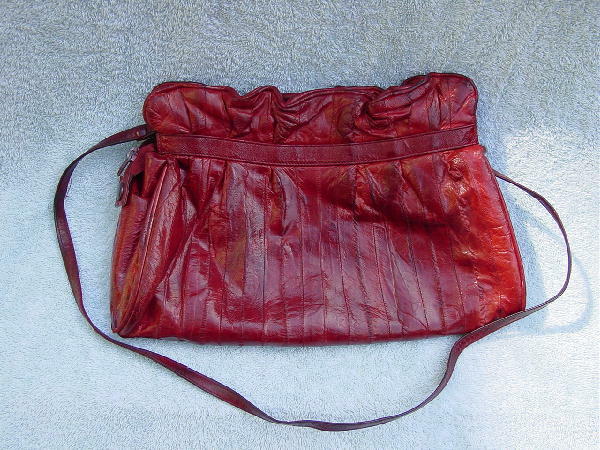 It has a 5/8" wide horizontal strip of eelskin which gives the upper 1 1/2" of the purse a gathered effect. The top rim (closed zipper) right side has some worn spots. You can detach the strap and carry it as a clutch. It was used as wardrobe in a foreign film.